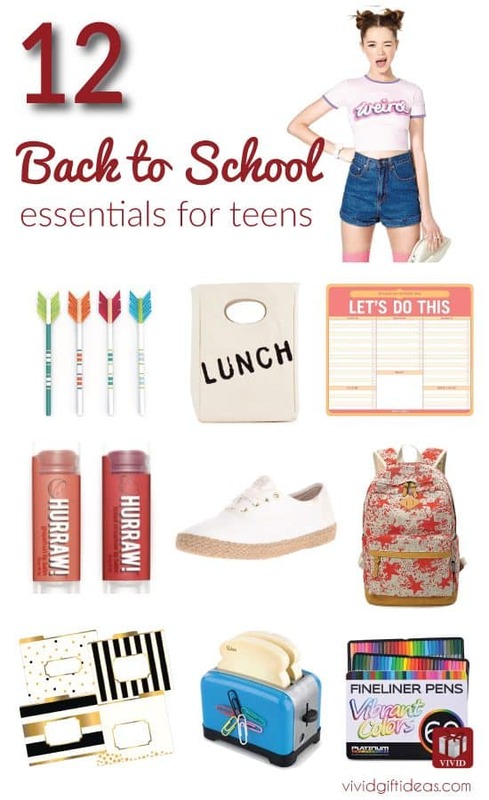 Get ready for the first day of school, here are 12 cool back to school essentials that you can get for your teen girls. Help her restock school supplies, get her stylish outfits for school and more to start another great school year. These back to school gift ideas are suitable for middle school and high school girls. 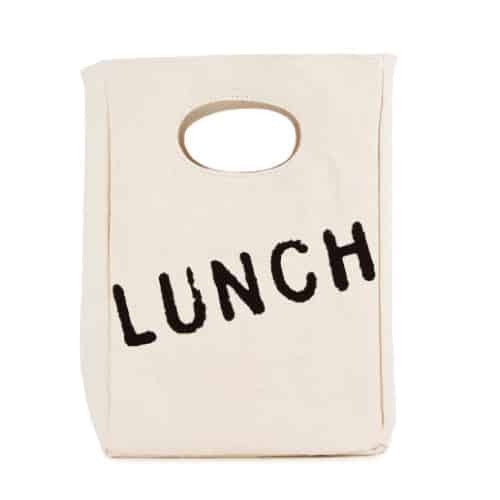 Cotton lunch bag with cool design that your teen gonna love. Roomy enough to pack lunch, snack, utensils and more. Water-resistant lining for easy clean up. 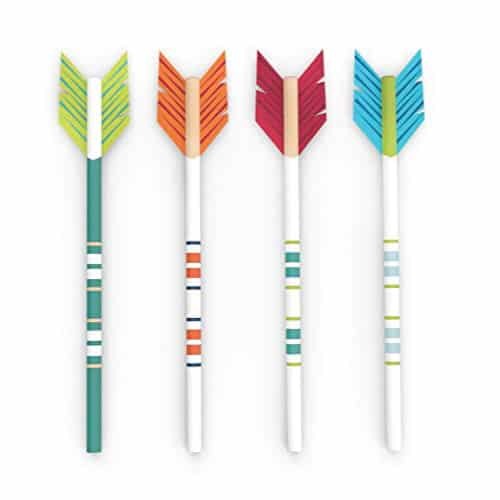 Unique arrow pencils that comes in the set of 4. Colorful and cute. Let your teen girl’s good ideas fly with these cool pencils. Quality backpack is one of the best back to school gifts for teen girls. 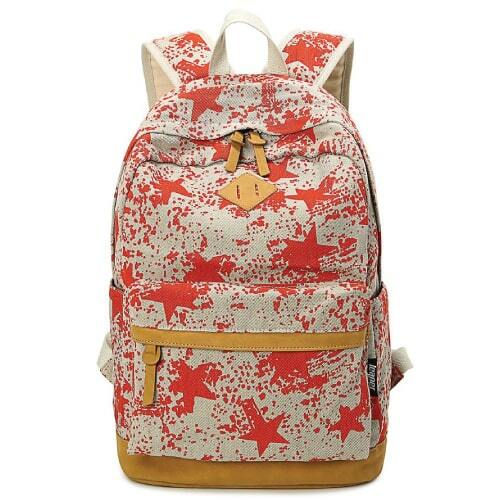 She will appreciate this lightweight canvas backpack with splash of stars. Spacious main compartment with laptop lining, two side pockets, and one easy access front pocket. Lip balm is another great back to school essential that she gonna need. This pack of 3 natural lip balms will become her new favorites. One tube tinted and two non-tinted. Glides on smoothly without strong artificial smell. Let’s make your teen manage her activities better. A cool note pad to write down to-do list. She can start off with clean sheet whenever she wants. 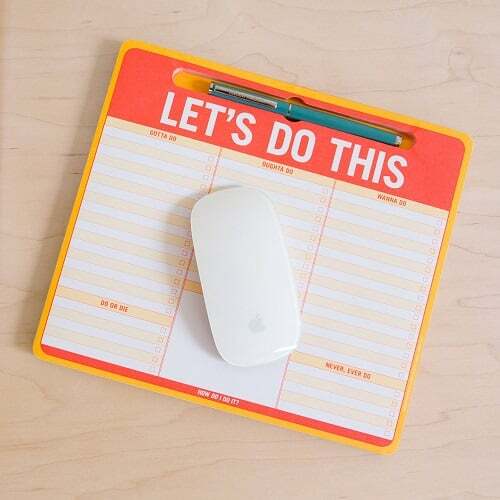 An awesome note pad that can be doubled as mousepad. She will love new and stylish back to school outfits. This pair of Keds sneaker is a wonderful choice. Simple design, solid white color. Goes well with any outfit. An informative and useful guide for teens. Written by Sean Covey. 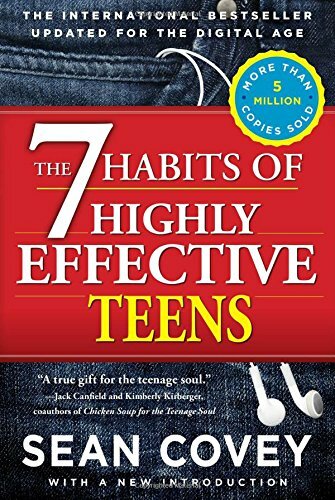 This book covers step-by-step guide to help teens improve self-image, build friendships, resist peer pressure, achieve goals, get along with their parents, and more. Get her ready for busy school works, help her stay organized in style. 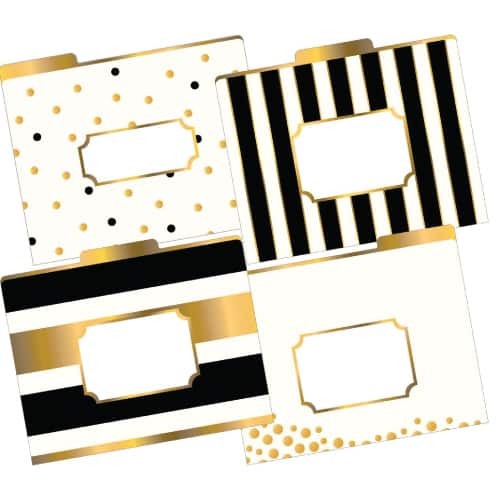 Super chic file folders in modern white, black and gold design. It’s time to back to school, be active and stay healthy. Get this beautiful ombre colored workout pants to start another great school year. Perfect for dance, yoga, running and more. Short sleeve tee that reads “weird”. Looks cool and fun! Mini toaster for her study desk sounds fun, right? 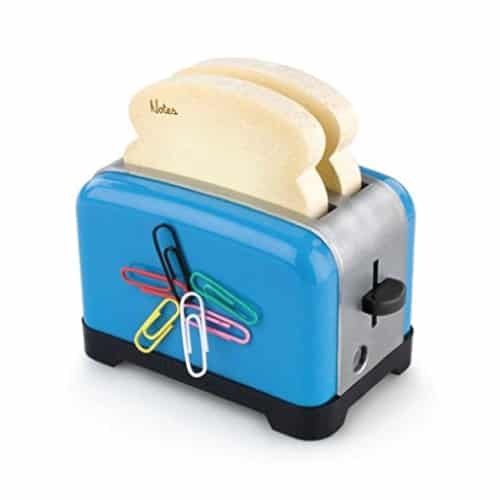 She’s gonna love this cute desk decor that holds two sticky toast notepads, with sharpener and built in magnet to stick those pesky disappearing paper clips. The last item in our list of back to school essentials for teen girls. 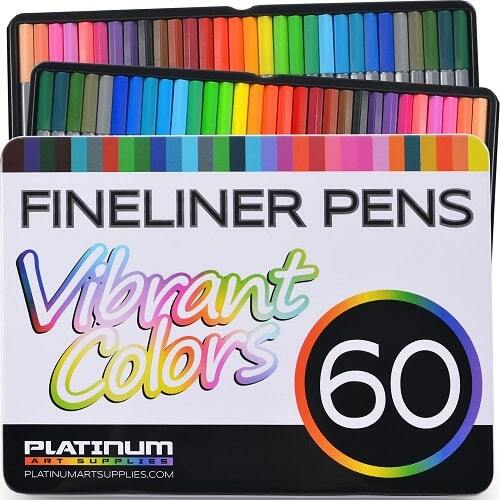 A box of 60 fineliner pens with vibrant colors. Ultra-fine tips great for drawing, writing and coloring. That concludes this year’s back to school essential gifts for teen girls. Thanks for reading! Follow us on Pinterest for more fun ideas!